Growing up, my parents used the same artificial Christmas tree for 25+ years. I didn’t have any issues with it, but I was fairly confident that after I moved out on my own, I would get a live tree. We ended up getting rid of that tree right before we moved into our farmhouse (November, 2010) and since we moved the week before Christmas, we didn’t have a big tree set up that first year. The next Christmas, I found a REALLY nice, slimline 7-foot artificial tall tree for $30 from our local thrift store — it looked so fabulous with our 9 foot ceilings and was much thinner than most trees I saw in stores! I reasoned that we would use this thrift-store tree until we had hardwood floors since it would be much easier to vacuum up needles on hard floor versus carpeting, However, after we installed our brand new reclaimed barnwood floors, I decided I didn’t want a live tree with little kids around as they might pull it over. Now, 11 Christmases into our marriage, we’re still using an artificial tree! Every year when it’s time to put up the tree, I praise myself for sticking with the artificial tree. And in all actuality, an artificial tree does make a lot of sense for me. It’s hassle-free (I don’t need to bundle up, drive somewhere, find a tree, cut it down, pay way too much for it, wrestle it onto the top of our car, drive it home, get it setup so it won’t tip over on the base, clean up after it, water it, clean up after it, dispose of it, clean up after it, etc. I toy with the idea of selling our artificial tree for a few days, but then decide it’s not worth selling the tree because no one is going to buy a artificial tree a week AFTER Christmas. So I hang onto the artificial tree with the intent to sell it the following year… but when the following year finally comes around, I realize I could either set up my artificial tree in approximately 20 minutes, or spend the better part of a day driving to a tree farm, cutting down a tree, and struggling to set it up at home. Obviously, you know what choice I make each year… and as I take a whopping 20 minutes to bring my artificial tree upstairs and put the ornaments on, I once again praise myself for being so practical. I love our artificial tree… until I see live trees at friend’s houses or in magazines. Then I think about how fun it would be to get a live tree… until I look down at the ground and see a bazillion needles covering the tree skirt. I truly am NOT an indecisive person (and I really am content with our artificial tree right now), but this internal conflict between “simple and practical” and “farmhouse fabulous” is ongoing every single year! What type of tree to you have? How Do You Do Christmas Gifts? Filed under: Life • Holidays • Misc. I grew up with live christmas trees in the city so we dragged the tree home on the sidewalk and turned the bare side to the wall. Loose needles everywhere, watering, having to worry about the dogs drinking all the water, the cat climbing the tree and refusing to come out and peeing on the tree in anger when we finally removed her…I guess that’s part of why I don’t push to have a real tree now. I like the look and smell of a real tree, but I have candles that smell like pine. haha — yeah, I’d do with an artificial tree all the way after those experiences! The main reason I will someday switch to an artificial tree? Putting on the lights!!! Oh, the aggravation!! I am apparently one of the lone readers of your site who loves live trees. (I admit, however, that I didn’t read all the comments.) We’ve always had a live tree, except one year when we were going to be out of town for a week at Christmas and I didn’t feel safe leaving a live tree unattended for that long. We borrowed an artificial one and the whole family bellyached about it. Usually, we go to the mountains and cut one down, but the mountains are my happy place and we spend much time there year round, camping, hiking, snowshoeing, etc. My Christmas decor is pretty simple, mainly because I hate putting it all away. 🙂 But I will have a live tree as long as I am physically able. I’ve been married 8 years now. The first couple of years, my father-in-law insisted on helping us out by buying us a live tree. Then the next few years after that, I felt like we just had to have a live tree, no matter the cost. I had usually had a live tree growing up, one we went snomobiling through the mountains to find and chop down ourselves. So settling for an artificial one just seemed totally out of the question. But after a couple of years of dried-out trees from not watering them and half-decorated trees because the kids wouldn’t leave them alone (and after reading your blog for a few years and realizing it is okay to be frugal even with important things like holidays), I decided that we should save $60+ last year and just buy a small tree, a new string of lights, and a few new ornaments from the dollar store all for about $20 (the kids had gotten into our box of decorations while in our storage room the summer before and broke almost everything. We are going with plastic from here on out!) Then we would have more money for presents for the kids, less hassel with set up and taking care of it, and our house would still be festive. Best decision ever! I don’t think I’ll go back to live trees until the kids are old enough to appreciate it more, if even then. I love our artificial tree! A couple of years ago, we found a small pre-lit tree at a yard sale for $8. That Christmas, we set that thing up in 5 minutes flat—no arguing, no stress, no trees leaning and falling… It was glorious. The following year, our neighbors had some brand-new trees at their yard sale. (They love trees and had too many that they hadn’t used.) I picked out a 7 foot one similar to yours intending to buy it. They insisted on giving it to us and even carried it across the street for me. Artificial trees are so much more simple, so far we haven’t looked back. 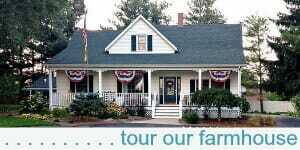 I will say that once we have a child, the whole tree farm experience would be fun though and something we’ll maybe do some years. We have a real tree each year and if we have time, we drive to the mountains to cut it down (we live in NC!). I love seeing the tree farms – they do continue to grow new trees to replace the ones they’ve sold – and it’s nice to support the local economy! How many artificial trees are made in America?! Yes, it may be more expensive, but it’s just part of the Christmas budget, it smells amazing and sometimes we use parts of it for crafts afterwards and the rest we typically burn in the fire pit in the spring. I used to use artificial trees before my husband and I got married. We’ve always had a real tree since then and we love it. I love how it smells, and how every tree is unique. They are more expensive in the long run, but we just budget it into our Christmas budget. We usually get our tree at the grocery store (ha!) 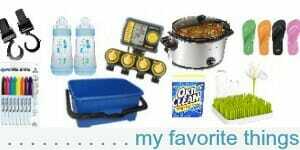 or Lowes. I also like that tree farms plant trees to replace the ones they sell, so in a sense they are eco-friendly. We’ve always been able to recycle them for use in fish habitats too. Ultimately, it’s whatever works best for you in your current stage of life. I agree with Nora. Your tree is beautiful! Merry Christmas to you and your family! My husband has always insisted we get a real tree. A few years ago I fell in love with an artificial tree from one of my favorite country home furnishing stores and I bought it. 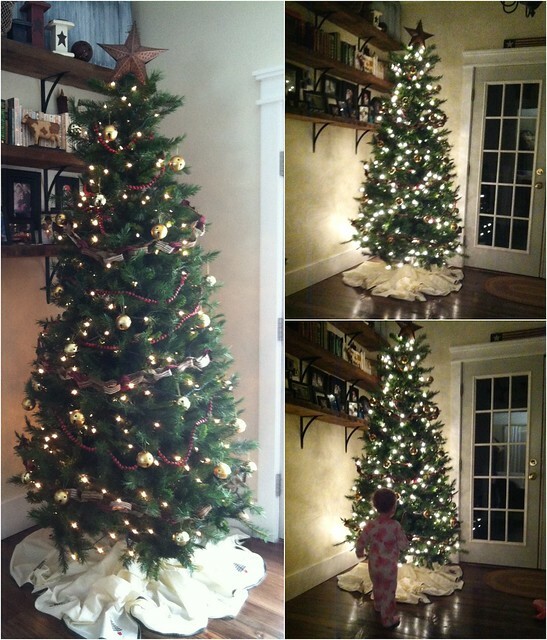 That was when we became a two-tree household…his real tree in the family room and my artificial one in the living room. Last year we got our older, worn carpet replaced and I told him I didn’t want the needles, melted snow, sap, and such all over our brand new carpet and that we would only put up the artificial tree. Unhappily he gave in. Then, earlier this year, he had knee replacement surgery and isn’t as energetic and mobile as he used to be. A few weeks ago we went and bought a real nice, easy to set-up artificial tree we both love. It had been our family tradition forever to go out to a tree farm and take the wagon ride out to the field, sip on hot chocolate and see Santa and the reindeer. We would also get our family picture for our cards while we were there. However, the cost has gotten awful. A couple of those outings we ended up paying $60 and $75 for our tree. The artificial is our choice for now after having a real tree for so many years. It’s probably the best choice as we have two grandsons who are allergic to something in evergreens. Who knows…we may choose a live tree again in the future. I’m glad an artificial tree is working for you now — it does sound a lot simpler! I honestly never really thought of the allergy aspect of the live trees — however, I assume no one in our family is allergic since our house is surrounded by pine and spruce trees. This is a really great post. So authentic! good idea Laura! 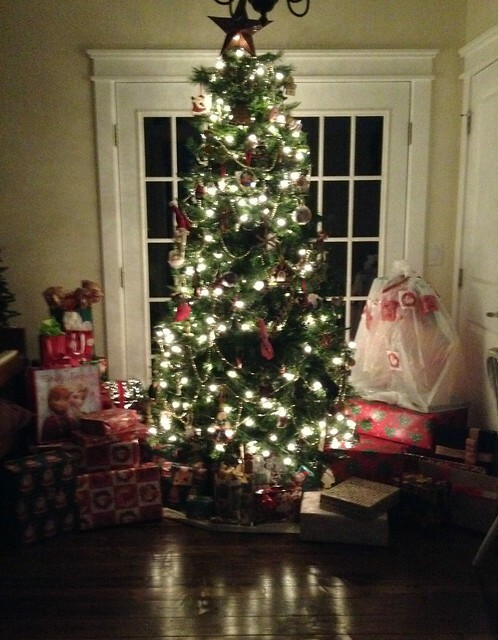 we could put the artificial tree in the playroom upstairs for the kids and have the live tree on the main floor! My brother and his family made it a yearly tradition to go out to the tree farm at thanksgiving and flag their tree, then before Christmas, they would go back out and cut it down to bring home. Interestingly every tree they picked out all those years ended up having a birds nest in them (Which are considered good luck!). My hubby and I had a real tree for a few years and I loved having the smell and the extra evergreen limbs from the bottom to make a wreath – no wasting- but I hated stringing the lights on it and my arms got scratched up. One year, after about an hour after we brought the tree in the house, bees started coming out of it! We went with a pre-lit tree several years ago and I love it. As with everything in life, there are pros and cons and they’re different for everyone. It’s up to you to decide. oh my — bees in a tree would definitely do me in! I guess that’s my biggest concern is rodents or bugs in the tree. So gross! Just like some of the others here, I always had a “cold” at Christmas as soon as the live tree was brought in. And as someone noted, those tree needles can still be found by Easter no matter how how much you vacuum. Therefore, I made peace with my sentimental self and I have found great happiness with my 7.5 feet slimline artificial prelit Christmas tree. To me using an artificial tree is a little like the compromise I make when using frozen bread dough to make my cinnamon rolls. The end result is just plain worth it! We have a slimline tree too — and I really do love how “slim” it is while still being quite full as well! We were gifted a used artificial tree by my in-laws. They had used it for more than 30 years before they gave it to us 22 years ago. I grew up with live trees and figured we would only have the artificial until we got settled into married life. But with each passing year as the cost of live trees goes up it seems ridiculous to waste the money. I would rather spend the $60-$100 on gifts and treats for family gatherings and keep the artificial tree. Yes, I have seen some reasonably priced live trees, but most seem rather expensive to me! I have to tell you that keeping your artificial tree is the best thing you could do. Also, you might try checking the stores or even Craigslist after Christmas to see if anyone is selling a fiber optic tree for a good price. When we were first married we would get a real tree, a place a few blocks away sold them so it was convenient. But my cat liked to drink from the holder and I worried about that. I also didn’t want him knocking the tree over on himself. (he was pretty good with the ornaments at this point). This year I wanted a real tree but my husband didn’t. (who knows why?) I bought a table top wreath and it smells great. 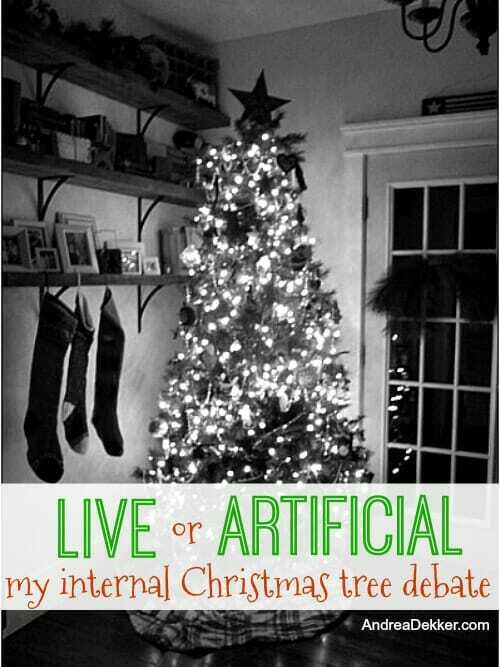 I’d keep the artificial tree because you may decide you didn’t love having the real tree, for whatever reason. You can always sell it the following year. Dave said his family would sometimes just get a wreath growing up too — that’s nice and simple! Don’t get rid of your artificial tree even if you get a real one!! My parents had a real one for years while I was growing up. Every year I had the “flu” at Christmas. I was horribly congested and it would last for weeks. When I was nine, they took me in for allergy testing and I one of the (many) things I was allergic to was pine trees. 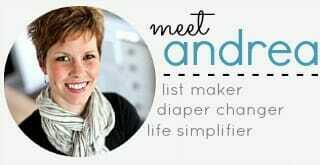 Keep your artificial one until you know for certain none of your children has an allergy. Christmas = sick for years for me. My friend has a mold allergy and some pine trees have traces of mold, as well. She had to get the tree out of her house and put up her artificial one. 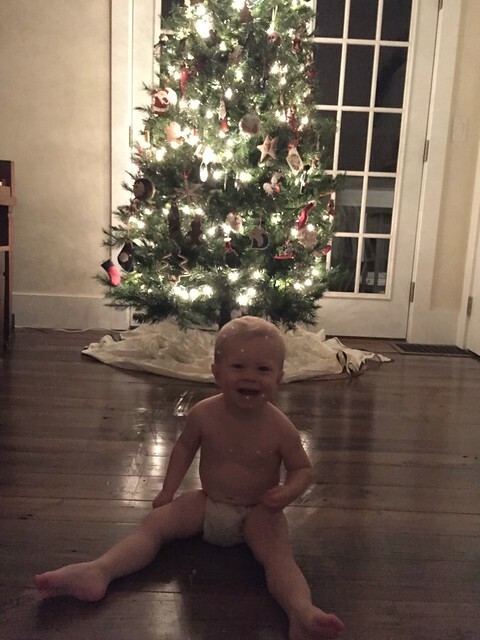 I think you are a complete genius for keeping your ornaments on your free year round! I’m going to adopt this idea! We do a fake tree as well but I think it’s just because I’m content with it at this point! We bought it on sale our first Christmas together, and this dinky tree has held up so well for 7 years! Right now, we have spent about $5/year for this little tree that is so special to us. The lights is the big one for me — I hate stringing lights so it’s so fabulous to just haul the tree upstairs and plug it in! I love cutting a tree every year. I always make sure to pick one with pine cones still on it! I love the smell. Now it’s a tradition and something I look forward to after thanksgiving. When we are done with the tree we cut the branches for mulching plants and to use as a wind breaker for our chickens in the coop. We actually take a few other trees from neighbors to do this. It can help start a composter as well. I also leave a tree in the yard for the bunnies for protection during winter. It’s always nice having the bunnies around. wow — aren’t you just so resourceful! 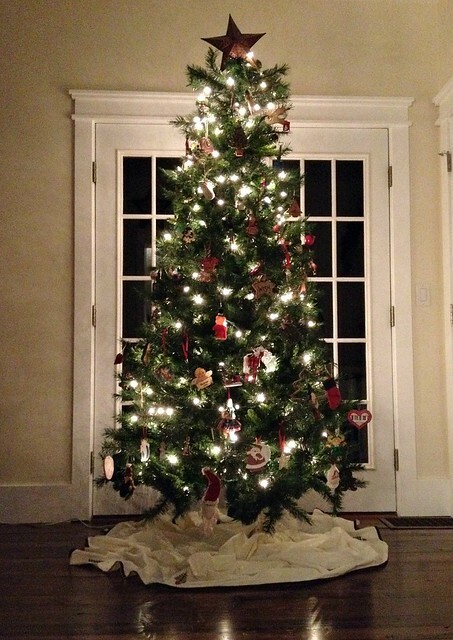 Thanks for sharing those ideas for ways to use an old Christmas tree! We had a live tree for years. We have many positive (and more than a few negative) memories of choosing one and cutting one down. My kids were ALWAYS sick through the holidays and were miraculously cured when we bought an artificial tree for convenience. I didn’t realize they were allergic to the Evergreens! oh no, that’s so sad! Glad you have it figured out now though! I don’t mind about artificial trees. If someone wants to use one, that’s fine with me. But I can’t hear the silly sentece of IT being ecofriendly “because it is a pity to cut a living tree to have IT only 2 weeks in My house”. Unless you are a vegetarian, by eating Meat you are killing everyday animals Just to enjoy their taste during the 10-15 minutes your meal lasts, so cutting a tree to enjoy it look during 2 weeks shouldn’t be a Problem you should care about. Besides if you hadn’t said it wasn’t “real” I would never have guessed from the pictures. It still looks awesome! We get a cut tree. The nurseries sell “live” trees planted in pots for eventual “landscape planting” here. Not sure how many make it since the ground is frozen solid for another two months. I really like your tree, and think the way you have done it is probably the most environmentally friendly way. You bought a used tree that might otherwise have gone to the landfill. Because it was used, you had no new packaging to dispose of and no new materials, manufacturing or shipping was required. You keep the tree assembled, which will likely make it last much, much longer, so you will not need a replacement for years. You use no gas to get your tree either. There is a free tree chipping service here after the holidays to make trees into mulch, but those chippers have a carbon footprint, too. You don’t need that service. Best of all, Nora has the most beautiful tree in the entire world. Pretty hard to beat that! You could get some cut greenery for the fragrance, but otherwise, I think you already have farmhouse fabulous. I would probably do the same if I found a good used artificial tree. Thanks Karen — I’ve thought about the potted trees before too, but they always seem so tiny at the store by us. Artificial! I may be swayed by a pine tree allergy though. It might be nice when the kids are older to have the real tree experience but for now artificial is great! Stick with your artificial tree. I have done both – and an artificial one is so much simpler and easier. And saves you money – and you have plenty of storage room. You’re right on the first idea – it is so much easier! oh wow — If we had a place with live reindeer and Santa, we might need to get a real tree too. I’ll need to do some research to see if there are any places like this in our area! When I was pregnant with our first child, I set out to purchase the prettiest artificial tree I could find, one that I would keep until she was grown. I found the perfect tree at Walmart 19 years ago and it still looks every bit as gorgeous as it did then. 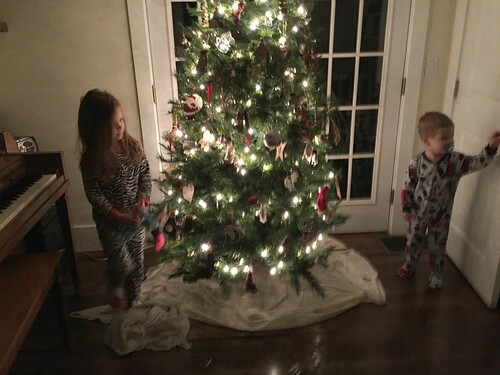 My kids love that we have the same tree with the same traditions to decorate it every year on black Friday (no black Friday shopping for me ;). It’s our family tree and we love it! I use an artificial tree for many of the same reasons you mentioned. I have a hard time believing it’s more eco-friendly though. Since trees are a renewable resource and they are bio-degradable, my guess is that they are probably friendlier to the Earth than the actual process of manufacturing a tree, adding more plastic to the world, and transporting them (likely) around the world. As the previous commenter mentioned, I liked that it’s more allergy-friendly as well. My #1 reason for using an artificial tree is the lights! I can’t stand putting the lights on the tree so I like that they’re built in to the artificial tree. I grew up with a real tree though, and my parents still use a real tree. They found a delivery service that will actually bring one to their house, which is perfect because it’s hard for them to tie it to the car, carry it inside, etc. At least that’s how I’m justifying it for myself! I’ve done both real and artificial in the past and I love both. However, as I’ve gotten older and my sinuses get more finicky, I’ve decided that artificial is best for me. In fact, I keep the tree put together, covered with plastic, and stored in our storage building. I take the ornaments off – but the tree stays up year round. Plus, I put up two trees, decorate with a Christmas village and decorate the outside of the house. If I get the craving for the nice smell of a fresh tree, I’ll either go to a store and get some clippings for tablescapes or even get a “Christmassy” candle that will suffice.